How many auctions do you attend per month? 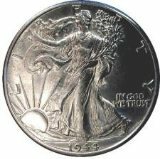 Estate Sales, Live & Internet Auctions of Farm Equipment, Gas and Oil, Firearms, Coins, Heavy Equipment, Antiques & Classic Cars continue to be our specialties. Select dates still available for Spring of 2019. Call now! Cole's Auction Service has expanded our services to include advanced Online Simulcast Auctions. Better then Online Auctions this new technology allows us to market your possessions to a worldwide audience! We can turn your assets into quick cash! No up-front fees and detailed accounting. Call us now for a free consultation with no gimmicks or high pressure sales tactics. Estate Auctions, Firearms Auctions, Heavy Equipment Auctions, Antique Auctions, Farm Auctions, Bankruptcy Auctions, Real Estate Auctions, Factory Liquidations, Closeouts, etc. This should not be a hit or miss effort! Our Advertising and Marketing Team has decades of experience in the State of Michigan Auction and Estate Sale Industry! We consider this the most important factor for a successful auction! FROM SET-UP TO CLEAN-UP, WE DO IT ALL. NO UP FRONT COSTS OR FEES. Ask about our "CASH BUYOUT" option !!! This is our direct telephone number and you can call us anytime . Michigan Auctioneer based in Lapeer Michigan. 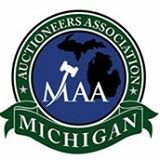 We are well know as Flint Auctioneer, Lapeer Auctioneer, Saginaw Auctioneer, Bay City Auctioneer and more. The Auction house is located in Mount Morris Michigan but we also auctioneer and conduct auctions in Flint Michigan and surrounding areas including Adrian, Alpena, Ann Arbor, Battle Creek, Bay City, Benton Harbor, Big Rapids, Burton, Cadillac, Clio, Davison, Dearborn, Detroit, East Grand Rapids, Escanaba, Farmington Hills, Fenton, Flint, Flushing, Grand Blanc, Grand Haven, Grand Rapids, Holland, Ionia, Jackson, Kalamazoo, Kentwood, Lansing, Lapeer, Livingston, Livonia, Marquette, Mayville, Mayfield, Midland, Monroe, Mount Pleasant, Muskegon Heights, Muskegon, Niles, Norton Shores, Oakland, Ortonville, Otisville, Owosso, Pontiac, Port Huron, Portage, Rochester Hills, Roseville, Saginaw, Sault Sainte Marie, Shiawasee, Sterling Heights, Sturgis, Swartz Creek, Taylor, Traverse City, Tuscola, Walker, Warren, Waterford, Wyoming and Ypsilanti. 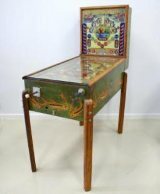 We sell a wide variety of items including Antique Auctions, Gun Auctions, Storage Unit Auctions, Wholesale Auctions, Dealer Auctions, Consignment, Collectibles, Electronics, Real Estate Auctions, Automobiles, Coins, Business Liquidations, Farm Auctions, Cattle, Livestock, Machinery, Bankruptcy, Closeouts, Personal Property, Boats, Estate Sales, Vintage Toys, Pottery, Paintings, Tools, and More. Not sure if you want to have a Estate Sale, a Garage Sale or an Auction. Call us we will be happy to answer any questions. 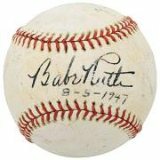 What is your favorite online auction/shopping site?